A long description of the Build-Your-Own-3DPrinter Project, the philosophy underpinning it, project goals, and purpose. Using Open Source principles in a Flat Organization to empower individuals, improve education, and accelerate the diffusion of innovation. This post was first published on Medium.com. Student-initiated project that will raise funds for 100 3D printer kits, then offer Build-Your-Own-3DPrinter workshops to the local community, and give the printers (for free) to workshop participants. Turning excellent sheep into engaged and passionate lifelong learners. Encouraging principle-based over procedure-based education, and the development of character traits over hard skills. We are doing the above through our self-managing flat organization: putting open-source principles, voluntary collaboration, and distributed leadership into action. WHO is the Build-Your-Own-3DPrinter Project? We are building a network/community of makers in Central New York (CNY), centered on Colgate University and (to start) 3D printing. We are a group of roughly 40 people, ranging in age from 13 to 67, living within a ~2 hours drive of Colgate University. One thing that connects all of us is geography — this is a grassroots, community-based organization, anchored on Colgate. We value making for a variety of reasons; its impact on education is particularly relevant to the group, which includes students, lifelong learners, and educators of all stripes. WHAT is the Build-Your-Own-3DPrinter Project? We are crowdfunding the purchase of 3D printer kits, which we will give away (for free) to the participants of an upcoming Build-Your-Own-3DPrinter workshop series. Originally, we hoped to find 10 people who would participate in the first workshop. The First Ten would be the guinea pigs for designing the workshop, and help to run the fundraiser. Last month, we started accepting applications to the First Ten. The application window closed on November 4th, after receiving over 60 applications. Many of these came from people with little-no direct connection. This outpouring of interest forced us to expand our vision. WHY is the Build-Your-Own-3DPrinter Project? Here comes a bunch of background, theory, and justification for the project. Feel free to skip if you aren’t into that. 3D printers, as a tool, democratize the means of production, unleash our creativity, and empower individuals. They have the potential to fundamentally change how humans (economically and creatively) interact with each other. And yet… the killer app of 3D printing (certainly within higher ed) has yet to be found. Any one of us might see the potential, and any one of us might be pretty smart, but a group of people who see the potential are going to be so much smarter than any one of us alone! Imagine if a whole college/university started exploring interesting uses! I don’t think that I could ever convince a group that large to do anything. But convincing 10 people isn’t unrealistic. And if those people could each convince another ten, all of a sudden we’re up to 100. Apply another iteration and bam! We’re at 1000. This is the exponential potential. I came to this school with high expectations of the university and the students. While these expectations were largely met, I did not expect to find the passive, checklist mentality here. Even in the proverbial ivory tower (Neverending Story exegesis anyone?) we fall victim to cognitive biases and routine. I felt that too many of my classmates were Excellent Sheep and too few were writing their own stories. This project is trying to empower students to depart the scripts they’ve been handed, and go off script, living/writing their own stories. Having idealized life outside the military, I was shocked to find traces of the checklist mentality in students on campus. After spending the past three years researching adult learning and ‘pedagogy’ to improve my craft, I was surprised to encounter quite so much “sage on the stage” pedagogy. Eventually I realized that these findings weren’t indictments of the students and professors, but rather of the overall system. I describe this to myself as the distinction between students and learners. Students meet deadlines and pass tests. Learners learn things. While there may be overlap, one does not entail the other. This project aims to turn excellent sheep into engaged and passionate lifelong learners. Law of Accelerating Returns However you want to conceptualize it, things are changing. Fundamental assumptions of our society are being challenged. Entire industries face massive disruption. No matter how you slice it, the future is deeply uncertain. Some of the fields and professions students are being prepared for won’t even exist in 20 years! What are the character/personal traits that allow someone to be successful in an uncertain and fluid environment? I would suggest creativity, adaptability, and perseverance as some of the top candidates. A greater emphasis on developing these traits in students would help to future-proof higher education. A creative project, whether making a cabinet, drone, or video, can train these kinds of traits. Every substantial project I’ve ever undertaken has forced me at some point to stop what I’m doing, and go off and learn something I didn’t know that I needed to know, before I could continue. Making is an application of the liberal arts. It trains creative problem solving and forces cross/anti/multi-disciplinary thinking. Making gives students a change to test the critical thinking skills they’ve developed, and actually use them in the real world. It breaks them out of the artificial separation of fields imposed by majors and departments. Today, making often involves emerging technologies, and gives students valuable experience and expertise. Though I am no professor, I spend 5 years as a professional platform instructor. During that time, I set out to master the craft of teaching to the best of my ability. Even I, without the benefit of a decade+ in academia, quickly discovered that the informal lecture (sage on a stage) was perhaps the least effective method available to me. Never mind those with their heads firmly entrenched in the sand (shades of the Earned Dogmatism Effect there), the research is in. Active learning improves student outcomes over lectures. Consider the recent spate of articles by professors who are terrified of their students. This indicates that they are, at least partially, beholden to their students for how they teach. Most students have been trained for their entire lives that education == getting talked at. This expectation leads students to see anything different as hokey or weird or ineffectual. Enter the status quo bias. Basically, the perceived norm is treated as if it were the inherent, natural, and proper norm. Anything else is a deviation from the baseline. This is one of the sources of that most insidious of organizational forces: inertia. The mere existence of a student-driven movement pushing for more active, experiential, and discovery-based learning is a real blow against this kind of inertial resistance to change. The many faculty members here at Colgate who are evolving their pedagogy to better reach students (e.g, Professor Karen Harpp) are empowered to continue doing so when students ask for such experimentation, as we are doing with the Build-Your-Own-3DPrinter project. This past summer, I was employed by Colgate as a 3D printing intern. As such, I’ve been privileged to witness and even participate in the ongoing conversation about how to integrate “this maker stuff” into higher ed, and particularly into a liberal arts education. As Mr. Mugato would say it, “Maker, so hot right now, maker”. As schools compete for students, the maker movement’s gaining popularity is not lost on administrators. Most liberal arts institutions are implementing some kind of makerspace. Most of these efforts miss the point. A 3D printer does not a makerspace make. Guess what, any number of 3D printers do not (necessarily) constitute a makerspace. This fixation on the technology associated with the maker movement has created a critical window of opportunity. A small, nimble institution focused on quality teaching rather than research and patent revenue (like Colgate) could seize the initiative, and vault itself into a position of national leadership. 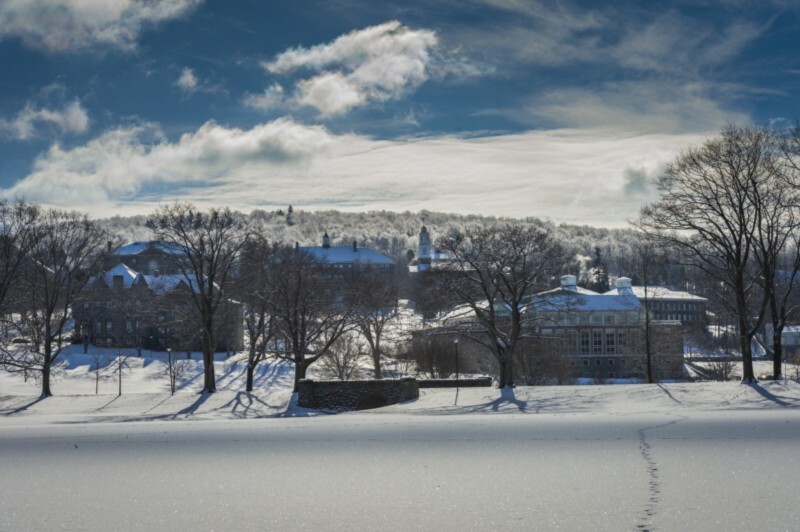 From such a position, Colgate will help shape what the liberal arts (2.0?) look like over the next 50 years. Colgate has been receiving national attention lately for our excellent Thought Into Action Entrepreneurship Institute. (Disclaimer: I am a participant in TIA, and this project is an outgrowth or my venture, disruptEd) Like making, entrepreneurship is an application of the liberal arts. One is applied to making organizations or businesses, and the other to making things or stuff. TIA has differentiated Colgate from our peer institutions, and moved us closer towards the ‘heavies’ like Stanford and MIT. Build-Your-Own-3DPrinter, and our other Maker Club activities will cement those gains. Thanks for sticking with me through this post! I’d appreciate any feedback you might have; please to comment here or on the reddit thread with any thoughts, suggestions, or critiques you might have.